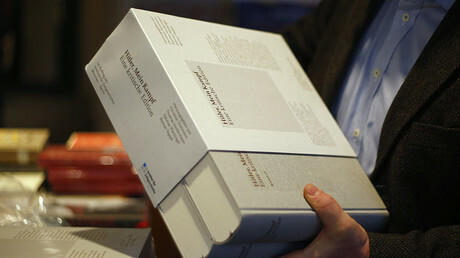 The new edition Mein Kampf in a way legitimizes the reading of the book says Hebrew University professor Ofer Ashkenazi. With thousands of people buying it there is certainly an interest in the book, he added. 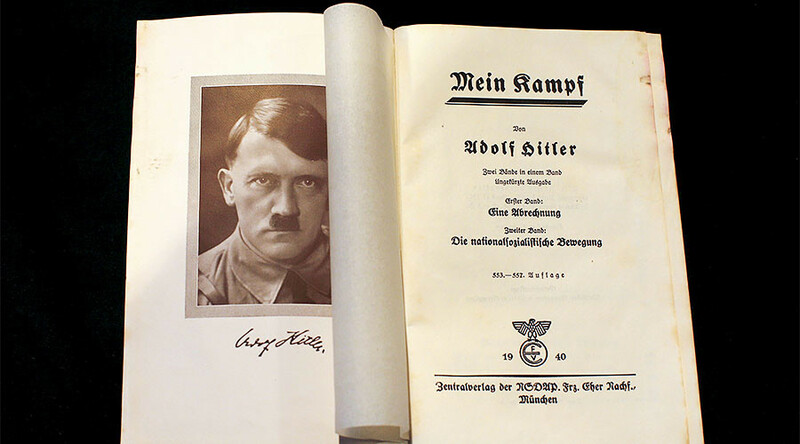 A new annotated edition of Adolf Hitler's autobiography Mein Kampf is selling out in Germany with 85,000 copies sold in 2016. “We assumed that it would not stay at the 4,000 copies of the first edition. Meanwhile, however, we sold 85,000 books,” said Andreas Wirsching, head of the Munich-based Institute for Contemporary History (IfZ), which published the book. RT: Why do you think the book's seeing a surge in popularity? Ofer Ashkenazi: I think it is popular because of a few different reasons. Some people buy it because it is a new addition with annotations. Some people buy it because it is Mein Kampf, and they are curious about it. There are some people that obviously buy it because they think they will find some wisdom in it. RT: Does the book's popularity concern you? OA: Yes, I believe we should be concerned. One of the things about the new addition is that in a certain way it legitimized the reading of the book. People read it before, and people who read it know that it is not very readable; it is not a very interesting book. But it was always something that people - outside of the neo-Nazi circles - we’re not proud of, or would not share that, but now it has been in a way legitimized. RT: All the same, for a non-fiction book, it's not actually that big a hit. Two weeks ago, a book called The Hidden Life of Trees, about the eco-systems of woodlands, topped the German non-fiction charts with half a million copies sold - way more than Mein Kampf (85,000 copies). Perhaps we need a better sense of proportion, here? OA: It is hard to say. I think the latter is more reasonable; people buy it because it was banned before and they are curious. Some people buy it because they are interested in the time period; they want to know more. It is true that it is not as popular as the new Harry Potter, for example, or other books. On the other hand, the fact that people buy it in the thousands shows that there is interest in the book - hopefully not in the messages of the book - but there is interest in the ideas in the book. RT: This edition is meant to be critical and scholarly and dissects and challenges many of the claims therein. That's better than it being published by a far-right group, isn't it? OA: Look, people who wanted to read the book before could read it online, could find it in other venues – that was not a problem. What they did with this edition, they tried to have all these comments to disprove many of the arguments in the book. I don’t think that people who want to read it, because they are part of the new right-wing in Germany care too much about the comments, or sometimes they even take the comments as a way to say: “Well, you know, the ideas that are in the books were pretty popular at that time. It wasn’t that bad.” And there is this danger with the new atmosphere: the anti-refugees and anti-immigration atmosphere that we see everywhere in the world and we also see in Germany. If people take it as some kind of a prophecy, and a legitimization of acting toward the immigrants and toward other outsiders with violence and other means. The more we talk about it, the more it creates curiosity and the more it sells. I think it’s good that people have access to this edition…and read the comments. I wish they had done it in a better or smarter way with having less comments and more in-depth discussion about the dangers of such ideas. We have a Hebrew edition of Mein Kampf that my students read all the time for their classes. I think it’s important to know the ideas and see where they come from. If we close our eyes, it doesn’t mean that it’s no longer there.